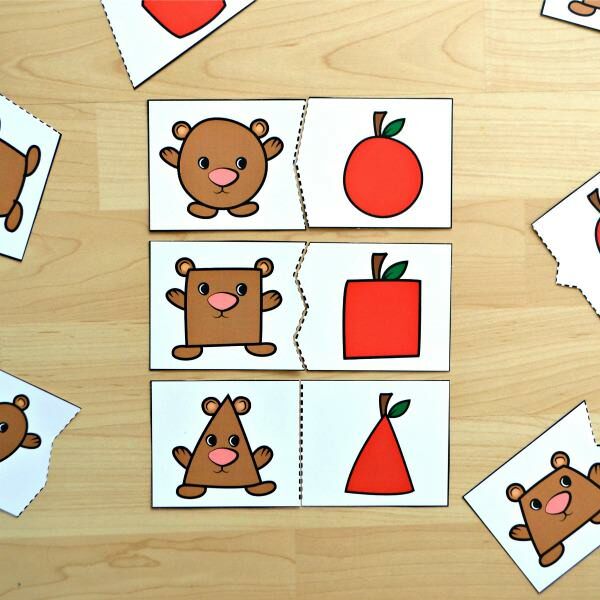 These Bear & Apple Shape Matching Puzzles are a fun and interactive way to help toddlers and preschoolers learn about and recognize shapes! 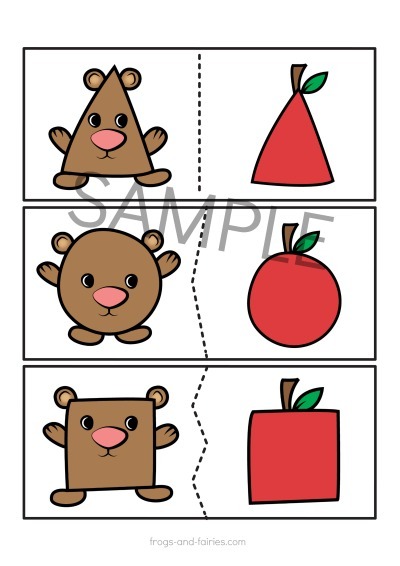 This printable PDF includes 4 pages of 11 puzzles: 11 bear puzzle pieces and 11 apple puzzle pieces. These little bears are hungry! 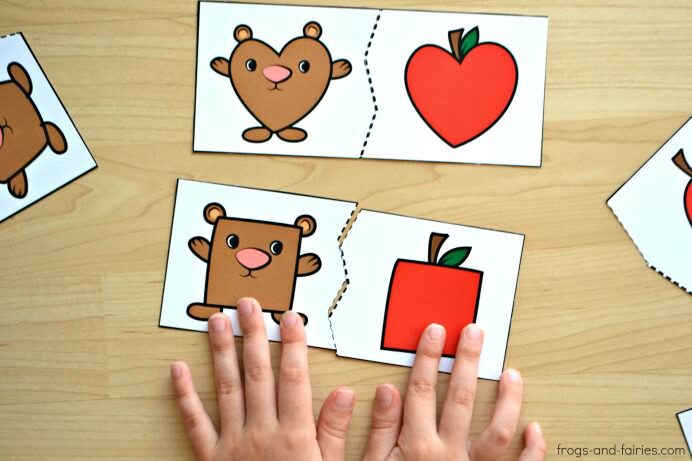 Kids can match the correct puzzle pieces to help the bears find their apples! Included shapes are the following: circle, square, triangle, rectangle, heart, star, pentagon, oval, rhombus, parallelogram and trapezium. 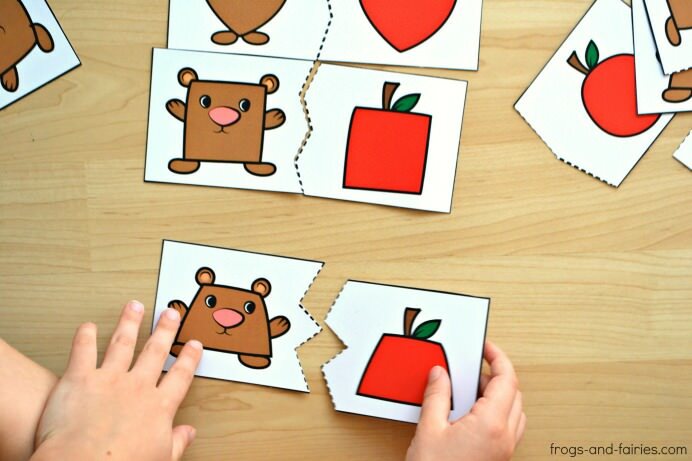 TO PREP: Print out the shape puzzles. Print them on cardstock for extra durability. Cut them out. 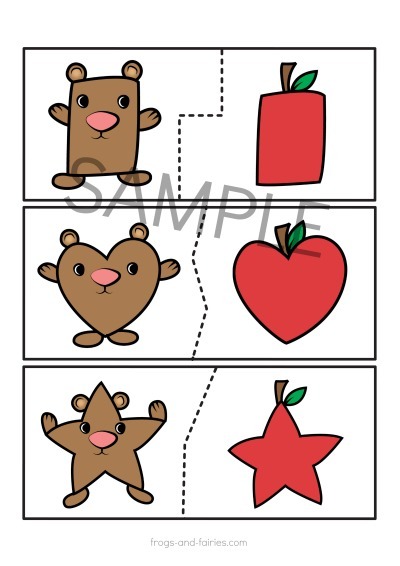 TO PLAY: Let your kids match shape bears with matching shape apples. Have fun!